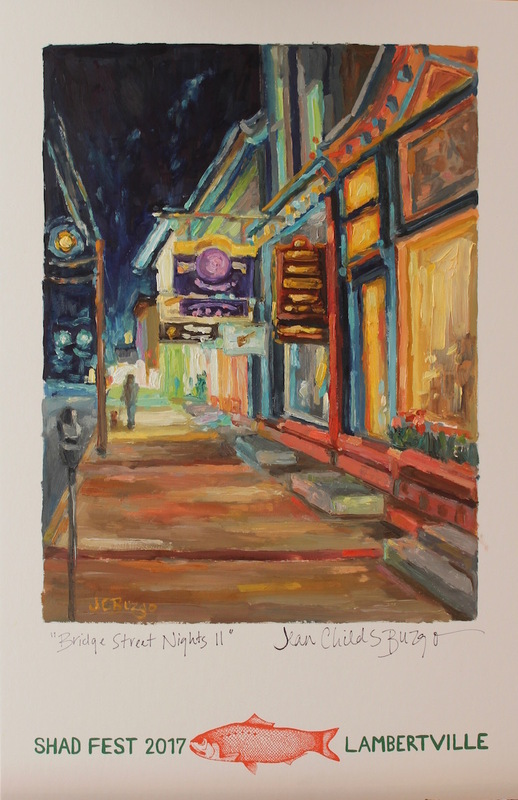 Shad Fest Poster 2017 "Bridge Street Nights II"
My Shad Fest Poster, "Bridge Street Nights II" up for auction! Silent Auction at the First Presbyterian Church, 31 N. Union St, Lambertville, 7pm Friday April 28th ends 2pm Sunday April 30th. Live auction 3pm at the Shad Festival on Sunday the 30th.